Home Redistricting Why are Districts so Crazy? Many people look at the maps of legislative districts and shake their heads in disbelief. The boundaries of numerous congressional, state senate, and state representative districts are pretty crazy. 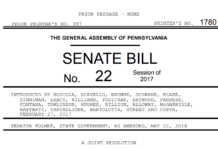 It might look hopeless at first, but it is possible to restore some sanity and greater accountability to the redistricting process. Watch and see!